Tonight’s the night Blazer Fans. Tonight we find out if Brandon and LaMarcus can play at a high level at the same time. As a Laker Fan I’m pulling for it. 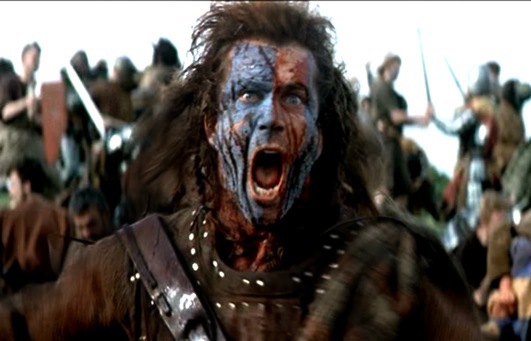 I’m also pulling for Gerald Wallace to paint his face blue and go “William Wallace” on Jason Terry. Contrary to popular opinion, it’s easy to be a Laker Fan in Portland, Oregon. This is mostly because Blazer/Laker rivalry only runs one direction; the success of the Blazers doesn’t make Laker fans angry. I actually enjoy watching the Blazers win. It makes me feel good to see the little guy break someone’s nose on occasion. Portland has a team that’s incredibly unique; they are successful without being insufferable. When you find a team that no one hates it’s usually because they are so terrible you pity them… unless that team is the Clippers, and in that case even your home city despises you. 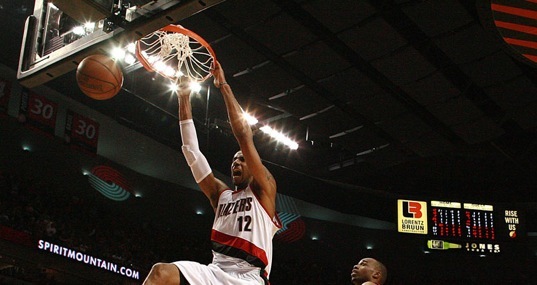 The Blazers aren’t hated, yet they win consistently. If the Blazers keep winning, the love won’t last unless Blazer Fans take a few steps to broaden their horizons. Eventually this team is going to win the big dance again, and when it does, the fans have to be prepared to step into the national spotlight in a way that doesn’t embarrass them. 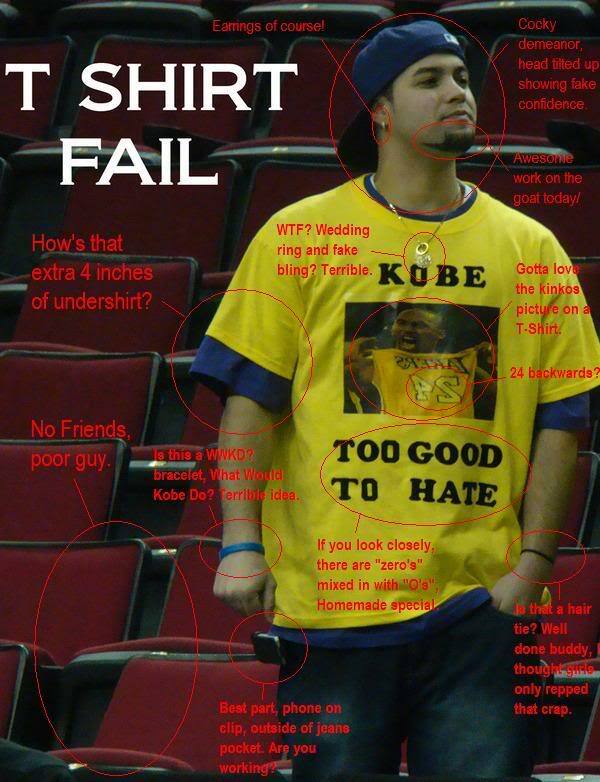 Here are some things that Blazer Fans are going to have to do to fit in among the ranks of the basketball fan elite. When a guy’s skull is made of thick granite you need to throw granite not wadded up paper . Always bring a gun to a gunfight. I have rarely met anyone in Portland older than 40 that hasn’t claimed to have rushed the court in ’78, yet paid attendance was about 15 people and NBA popularity was at an all time low. You can still have been a fan and listened to it on the radio fellas. Each speaker has a unique approach that is fairly representative of how their mind works and how they work best. For me, the writing process gets “it” out of my head, and the editing process locks “it” into my heart. To avoid rabbit trails and maintain continuity during the three services I try not to say anything that wasn’t manuscripted. Because several of you have asked to see it, here is the manuscript for last Sunday’s sermon “The Iron Giant”, followed by the Audio from the 11 o’ clock service. There’s very little that’s right about the life of Barbara Millicent Rogers. 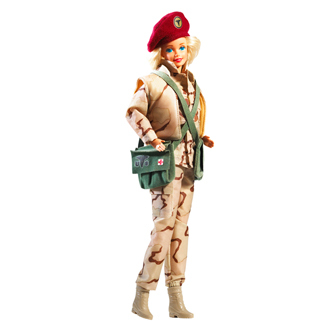 Since graduating from Willows High School in Wisconsin she’s been torn apart for her impossible beauty even though she’s enjoyed a very successful career as a schoolteacher, veterinarian, astronaut, jazzercise instructor and baby sitter while serving in the National Guard. 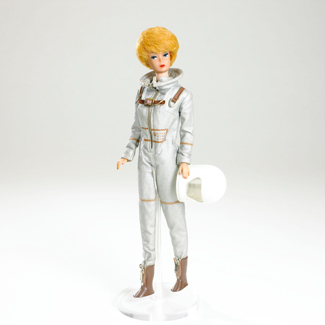 Despite these “Aaron Spelling approved” contributions to feminism, Barbie is once again under fire for promoting an unhealthy image of beauty and desirability for young girls. This week Galia Slayen, a former student at Portland’s Lincoln High School travels the morning talk show circuit with her own creation, a “life size” Barbie who is a dramatic representation of eating disorders. 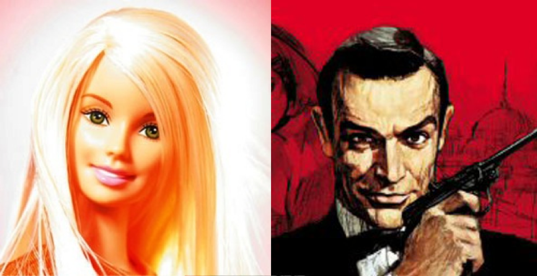 That Barbie represents a miniature totem of the American idealization of beauty can’t be disagreed with, it would be like trying to say that cigarrettes aren’t addictive. Everyone would believe that you had an agenda that you were trying to push and you’d lose all credibility… and an election. 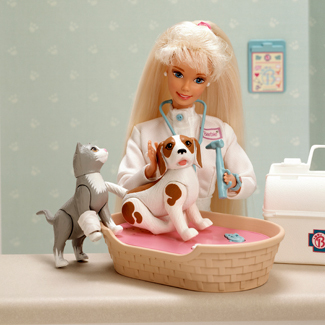 But what if the problem wasn’t just what OUR LOVE of Barbie tells us about beauty?